Gel Sculpt in Silhouette is a unique contouring gel creation that offers subtle definition to cheeks with ease. The hue of Silhouette creates a delicate shadow under cheekbones and along the jawline which can be blended with ease to achieve beautiful, natural contours. Using your fingers or a highlighter brush, apply Gel Sculpt across the temples, hollows of the cheek and jawline and blend gently. To be applied prior to setting foundation. 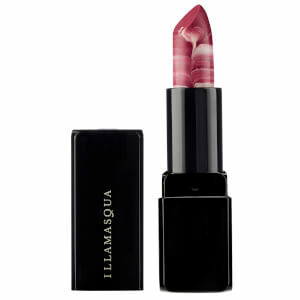 Use a small amount of Gel Color over the lips to deepen your natural lip color. Aqua (Water, Eau), Bis-Peg-18 Methyl Ether Dimethyl Silane, Propylene Glycol, Sodium Stearate, Peg-150, Glycerin, Phenoxyethanol, Palmitic Acid, Stearic Acid, Ppg-26-Buteth-26, Parfum (Fragrance), Peg-40 Hydrogenated Castor Oil, Ethylhexylglycerin, Dimethicone, Hexyl Cinnamal, Linalool, Benzyl Alcohol, Amyl Cinnamal, Benzyl Salicylate, Hydroxycitronellal, Limonene, Yellow 5 (Ci 19140), Red 33 (Ci 17200), Blue 1 (Ci 42090). So, I initially was supper sceptical about this gel stick because I’ve never seen anything like it, and because it’s a very dark color- almost black. BUT, once applied it feels cool and turns a nice shade of brown to contour. What I love Is that it is not too warm or too cool, which is hard to find for pale girls like me. The Gel formulation also makes it super blendable so you don’t have to worry about applying too much. This is an awesome product that I now use daily and on clients because it works as a contour or bronze.